There are no messages on grimshawl's profile yet. I am a life long avid reader and now an author in my own right. I mostly read science fiction and fantasy with a dash of horror every once in a while. 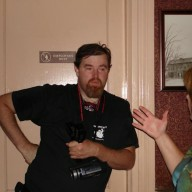 I am a paranormal investigator and a amateur photographer. grimshawl does not have any items.